I am a microbiologist by training and part of my expertise is in infectious diseases. I direct a research laboratory that is trying to understand how bacteria become resistant to antibiotics, making them difficult to treat, or even untreatable. I also teach nursing students about the germs that make us sick, how they spread from person to person, and how we can prevent infection or treat it once it begins. Take the common cold for example. We call any mild upper respiratory infection a “cold,” and it can be caused by any one of more than 200 different viruses. A vaccine would be impossible, considering the number of different germs that can cause a cold, and it wouldn’t pay off very big anyway since symptoms are usually mild and the mortality rate is about zero (when was the last time you heard of someone dying from a cold?). Unlike polio or smallpox, exposure once doesn’t provide lifelong immunity because the next cold virus you encounter won’t likely be the same as the last one. A rhinovirus, one of the most common causes of colds. 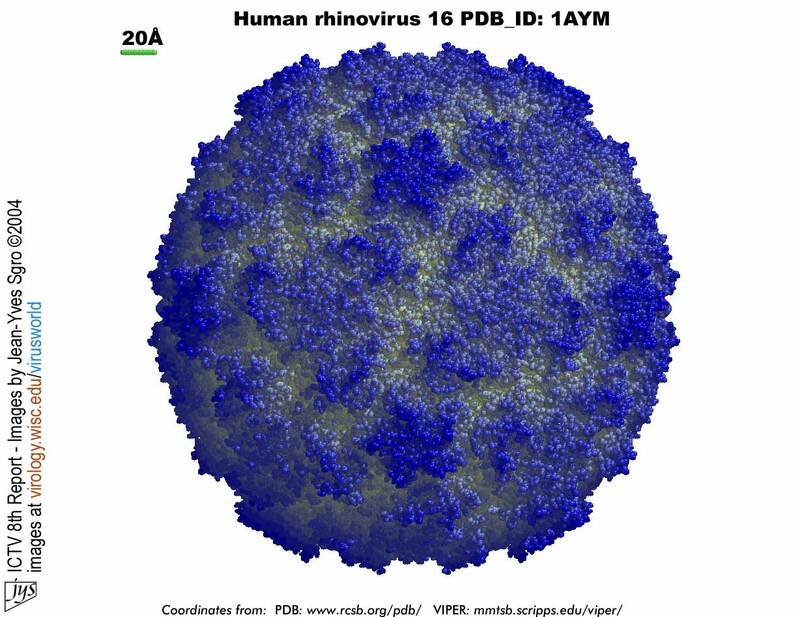 The rhinovirus is about 30 nanometers across, or about 30 millionths of a millimeter! (c) University of Wisconsin. The real problem with cold viruses, though, is what we call the infectious dose, or ID50. The ID50 tells us how many germs it takes to cause an infection. An E. coli infection in the gut, for example, requires about 10,000 bacteria to overcome our immune system and make us sick. Cold viruses, on the other hand, have an ID50 of 1. That’s right: it takes only one cold virus to make us sick. It’s a wonder we’re not sick all the time as contagious as cold viruses are! We’ve been thinking together lately about what our kids and others we lead learn from us by our behavior rather than our words. “More is caught than taught,” is a common refrain. I think it’s useful to think of character and habits as germs. We want those we lead to “catch” good germs from us, to get infected with good character traits and healthy habits. But our less desirable features – our anger, discontentment, addictions, mistrust, control issues, abandonment issues… you name it – might be even more contagious, like the common cold. I am beginning to believe that our stress levels and how we handle stress are also highly contagious. We’re leaving stress viruses on door handles, sneezing them out into the air around us, inadvertently sharing them with anyone close to us. The way we protect ourselves from stress – or don’t protect ourselves – and the triggers we allow to stress us out are being caught by our kids, our students, our congregation, and anyone else watching us. 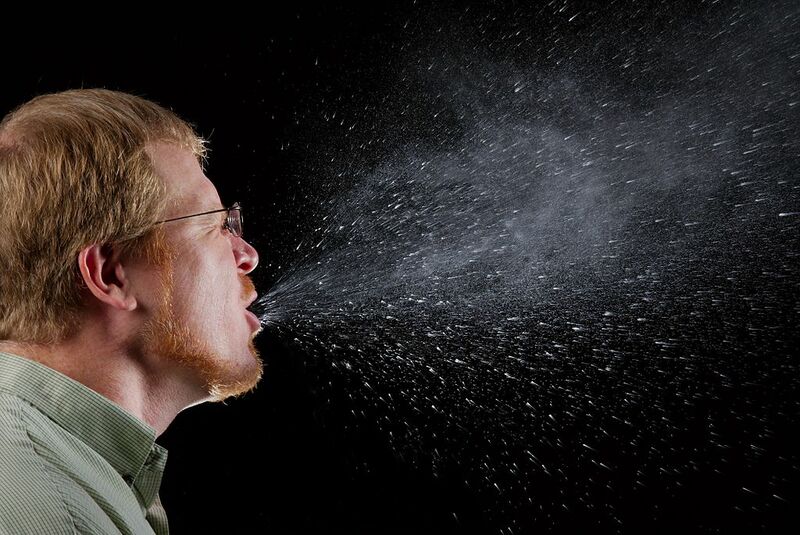 A sneeze exits your face at about 100 mph, spreading droplets containing germs all through the room. This is how we spread the stress germ to those around us. Two of my three kids internalize their stress, like I do. They put on a happy face and either pretend or actually convince themselves that it’s all good. One of them simply never talks about stressful or unhappy things. That child forfeits the support of a loving family in times of need because the need is denied. The other expresses it physically with headaches and digestive troubles. That kid talks freely when the stressors are recognized, but, like me, has trouble recognizing them in the first place. For the sake of my kids, my students, and anyone else foolish enough to watch me as an example, I want to learn to protect myself from stress viruses in the first place. But when I do catch a stress cold, I want to recognize it for what it is, acknowledge it, deal with it head on, and even take steps to prevent spreading it to others around me. I have a long way to go, but by inviting others into my journey, by living a transparent, authentic life as I struggle with stress and anxiety, I hope they will catch some good germs from me instead of all the bad ones. This entry was posted in Reflections, Uncategorized and tagged anxiety, be present, busy, christian, christian faith, cold, common cold, crazy busy, depression, devotional, example, faith, fear, germ, in the moment, infection, infectious dose, jesus, living in the moment, meaning, mental health, mindfulness, model, peace, present, proverbs 22:6, purpose, rest, rhinovirus, sabbath, stress, vaccine, virus. Bookmark the permalink. The viral analogy is a good one. As a parent and teacher, I agree that many human attitudes and responses are ‘contagious’. On a family vacation or in a church or in the classroom, enthusiasm and joy are contagious, but so are discouragement and apathy. It is interesting to think of a stress response as something we learn from our parents, and it is scary to think of it as something we pass on to our kids. As you well point out, some behaviors are learned, primarily from our parents. Other behaviors are innate — in our genes, a part of our personality, or just the way God made us. And it’s probably fair to say that quite a lot of behaviors are some combination of learned and innate components. What’s your take on this? How much of our stress response is part of the way we are wired? How much is learned? Loren, I think you’re exactly right. There is very little in this life – disease, personality, habits, addictions – that is either purely environmental or purely genetic. One of the fears some experts have about personal genomics – having your own DNA sequenced in order to identify potential diseases – is that people will assume that a gene for a disease dooms them to get the illness. That is rarely the case with diseases. And it is likely not the case with personalities either. People who are genetically predisposed to be angry still have the choice to check their anger. People who might have learned obsessive-compulsive traits from a parent can still overcome the learned behavior. Who we are has a nurture piece and a nature piece, and neither of them has final say, neither cannot be overcome. Dave, I love the way you study to not only help yourself, but all those around you. I am learning so much from you, yet have to put into action what I have learned. Thank you!